EAT YOUR WAY TO BETTER HEALTH By Monique N. Gilbert, B.Sc. From By Monique N. Gilbert, B.Sc. Making the right dietary choices can have a profound impact on our health and longevity. As a society, we have the largest assortments of foods in the world, both good and bad. However, this availability can tempt us to eat unhealthy foods. Fortunately, overcoming these temptations is easier than you think. A few simple changes in your diet can make the difference between being healthy and unhealthy. So, you may ask, what kind of diet do researchers recommend for promoting and maintaining good health? According to the American Institute of Cancer Research (AICR), the smartest strategy to promoting good overall health is to eat a balanced, predominantly plant-based and nutritionally dense diet. Most of your daily calories should come from vegetables, fruits, whole grains and beans. Take advantage of our highly developed food distribution system, which allows a vast array of fruits, vegetables and other plant foods to be available throughout the year. Eat less fat and more fiber. Make plant-based foods the largest part of every meal. Limit the amount of animal-based foods, such as meat and dairy products, which are loaded with saturated fat and cholesterol. Use olive oil or canola oil instead of butter or margarine to reduce your intake of saturated fat and hydrogenated fat (trans fat). Moderate your consumption of fried, salted and smoked foods. Eat portions to satisfy hunger, not to clean the plate. The AICR recommends these steps to help protect against several cancers, lower the risk of heart disease and promote good health. The National Cancer Institute (NCI) links one-third of all cancer deaths to diet. They state that we can reduce the risk of cancer and other chronic diseases through dietary means. Both the AICR and the NCI believe in the benefits of eating a plant-based diet. They feel it is reasonable for most of us to include products like tofu, soymilk, tempeh and textured soy protein as part of a healthy diet. If nothing else, these foods can be excellent and complete alternative protein sources when decreasing your consumption of meat and dairy products. However, researchers do not want people to consider plant-based foods as a magic bullet to counteract bad eating habits. They don't want people to rely on adding just one or two plant-based products to their diets while continuing to eat foods high in saturated fat and cholesterol. Nor do they advise people to consume large quantities of supplements to try to achieve health benefits. Balance, moderation, and variety are the keys to a healthy diet. Nothing should be excessively consumed. Loading up on any one food or nutrient is never wise. Each food item provides a different chemical composition. The best way to take advantage of the various beneficial nutrients and compounds, is to adopt good eating habits which include a wide assortment of nutritionally dense foods. Many researchers advise looking at the typical Asian diet and method of cooking for inspiration, which is high in fruits, vegetables, rice, green tea and soy. They mainly derive protein from plant-based sources such as beans, tofu, miso, soymilk, tempeh and other plant-based products. This type of diet is low in meat, fat and dairy products, with a moderate amount of fish. Meat is mainly used as a condiment than the main course. The quick method of cooking, characteristic of Asian cuisine, also plays an important role in the Asian diet. Steaming and stir-frying reduces the amount of fat needed to prepare foods, and allows foods to retain much of their nutrients. In contrast, the average American or Western diet is high in meat, dairy, starches, sugars, sodas, fast foods and junk foods. Beef, pork, fish and poultry are the main sources of protein. This type of diet is generally low in fiber and high in saturated fats and cholesterol. Deep-fried foods, such as French fries, potato chips and onion rings, are popular but very unhealthy. It causes foods to absorb a high amount of fat, and the oils used to deep-fry are not always the best. Often vegetables are overcooked, causing them to lose many of their nutrients. Fast foods and quick eating, characteristic of American dinning, also play a detrimental role to our health. The convenience of ready made and processed foods often provides a diet high in calories but low in nutritional value. 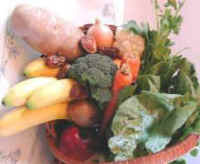 Altering our way of cooking and eating is one of the easiest ways to improve our health and increase our vitality. Making choices based upon nutritional content is the best guide. Choose to eat foods that have bright colors and are high in fiber, vitamins, minerals, and complex carbohydrates; moderate in protein, and low in saturated fat, hydrogenated (trans) fat and cholesterol. Adopting this way of eating will promote good health and offer you protection against heart disease, stroke, cancer, osteoporosis, diabetes and kidney disease. Looking for a great cholesterol-free recipe to start your day off on the right foot? Then try this hearty nutritious and delicious breakfast item. It's high in fiber, iron, potassium, phosphorus, vitamin C, thiamin and niacin, low in saturated fat with a moderate amount of protein. 1. Dice tofu into 1/4 to 1/2 inch cubes. Peel and dice potatoes into 1/2 inch cubes. 2. Heat 1 teaspoon canola oil, add diced tofu, turmeric, 1/8 teaspoon salt and a dash of pepper. Stir until all cubes are thoroughly coated and get a nice yellow color. Saute tofu until golden brown and firm. Set aside. 3. Heat 1 tablespoon canola oil, add diced potatoes, black ground pepper and 1/ teaspoon salt. Stir to coat all the potato cubes with oil, salt and pepper. Cover with a lid and allow to steam for 3-5 minutes. Uncover for a minute before flipping potatoes over, this will prevent any sticking. Then flip potatoes, cover and steam another 3-5 minutes. Uncover and flip potatoes again. Keep flipping until all potatoes are golden brown. 4. When potatoes are golden brown, mix in tofu cubes and push to one side of the pan. Add 1/2 teaspoon canola oil and diced onions to empty side of pan. Stir and cook onions until translucent, then mix thoroughly with potatoes and tofu. Salt and pepper to taste. Serve with juice and toast. This recipe is from Monique N. Gilbert's book "Virtues of Soy: A Practical Health Guide and Cookbook" (Universal Publishers, 2001, pp. 51-52). Monique N. Gilbert has a Bachelor of Science degree, is a Certified Personal Trainer/Fitness Counselor and health advocate. She began a low-fat, whole grain, vegetable-rich diet in the mid-1970's. This introduced her to a healthier way of eating and became the foundation of her dietary choices as an adult. She became a full-fledged vegetarian on Earth Day 1990. Over the years she has increased her knowledge and understanding about health and fitness, and the important role diet plays in a person's strength, vitality and longevity. Monique has a Q&A column at Veggies Unite! 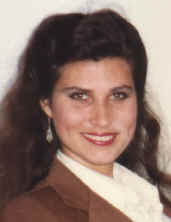 ( www.vegweb.com/guestqa/ ) where she gives advice about health, fitness and vegetarian/vegan diets. Monique feels it is her mission to educate and enlighten everyone about the benefits of healthy eating and living.